Newly manufactured by Federal, this product is excellent for target practice and tactical exercises. It is actually chambered for a rifle compatible with the 5.56x45 mil-spec cartridge. 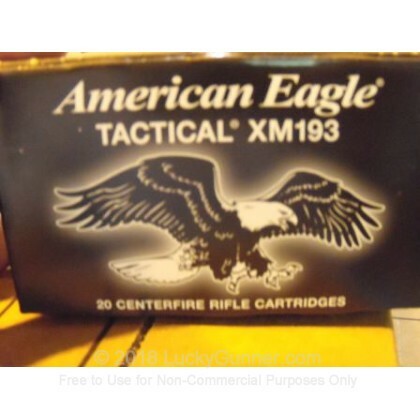 Please check with your gun manufacturer prior to purchasing this ammo (most AR15's are fine, but it is best to check first!). Each round is brass-cased, boxer-primed, non-corrosive, and reloadable. It is both economical and precision manufactured in the United States by an established U.S. cartridge producer. The XM193 bullets sport a boat-tailed design for improved long-range accuracy and ballistics performance. 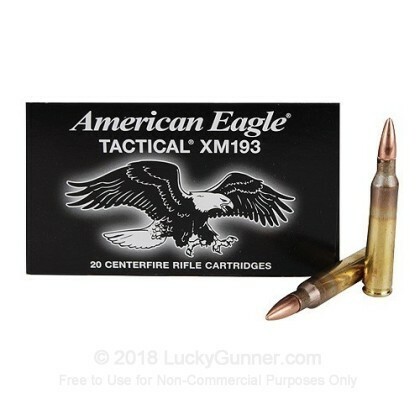 We don't have any reviews yet for this particular 5.56x45mm ammo from Federal. 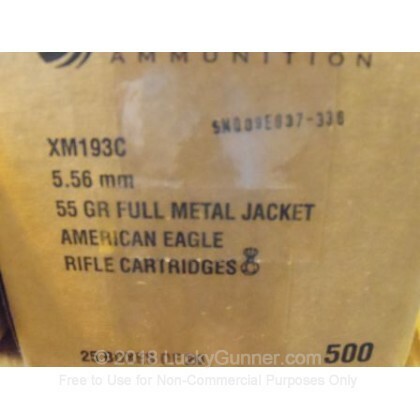 If you'd like to be the first to review this particular 5.56x45mm ammo from Federal, fill out the form below.